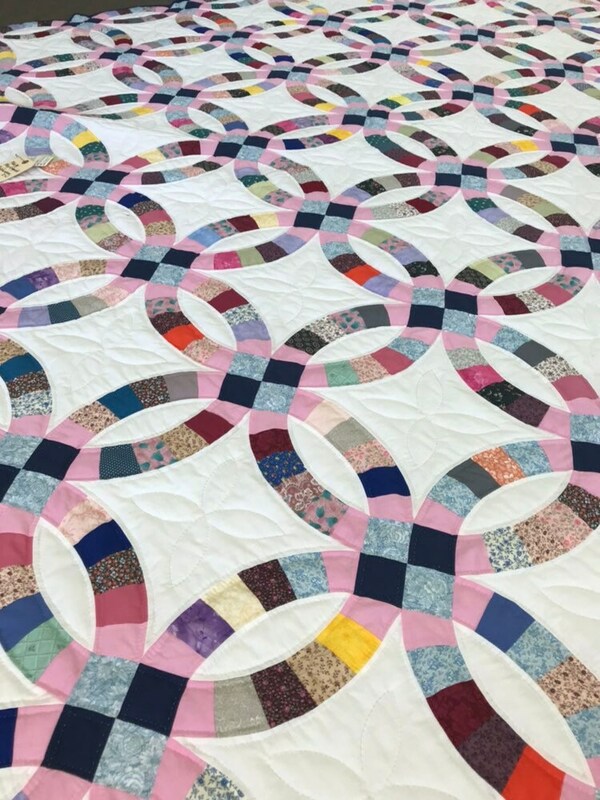 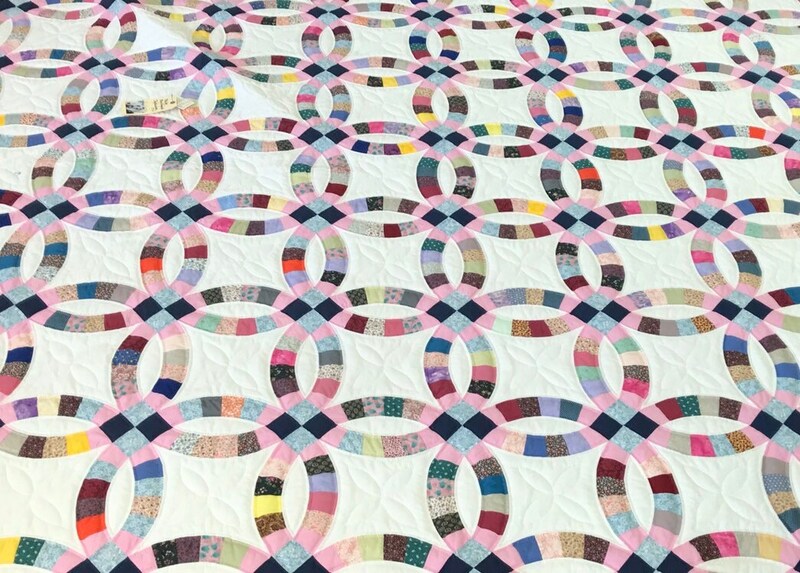 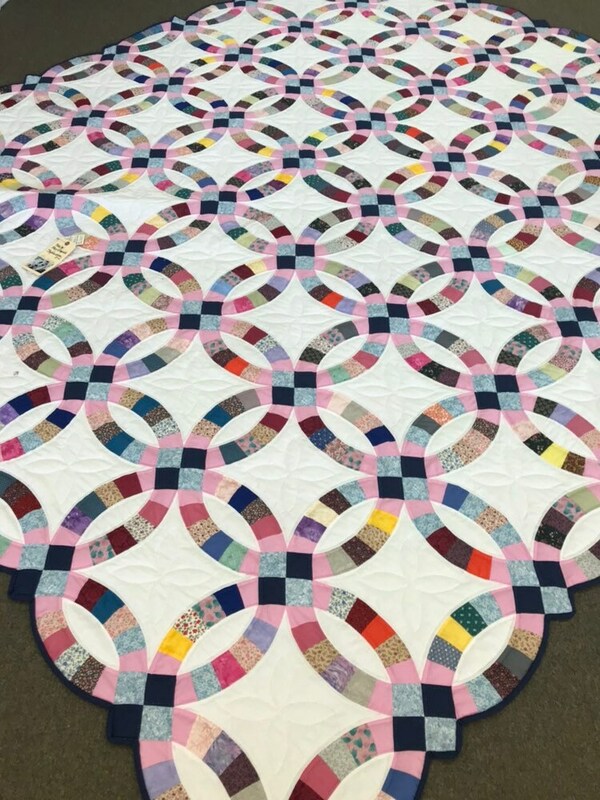 This gorgeous Double Wedding Ring Quilt has been handmade, hand quilted by the Amish. 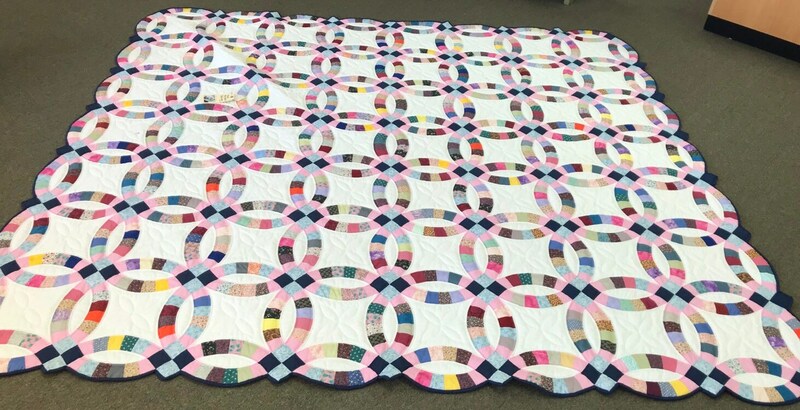 It is 100x110 and would fit a Queen or a King Size bed depending on how far you would like your Quilt to hang. 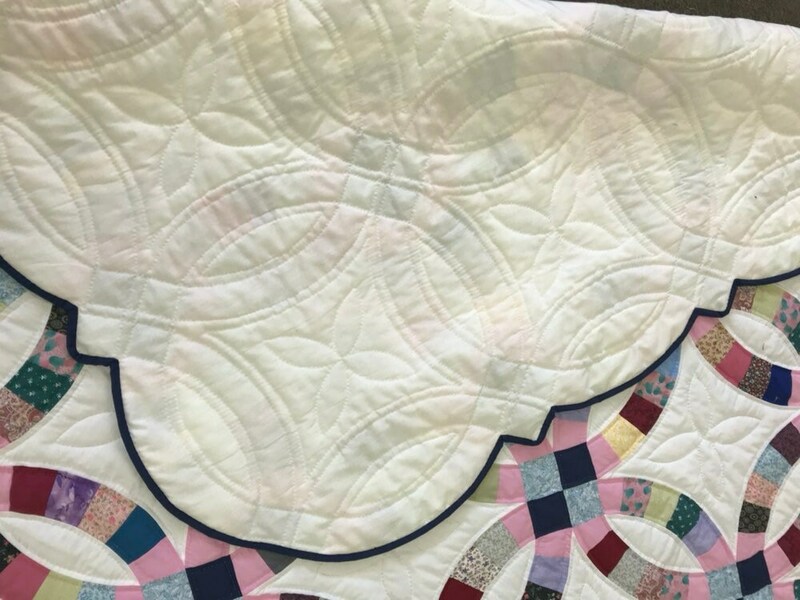 It features blue binding and white backing. 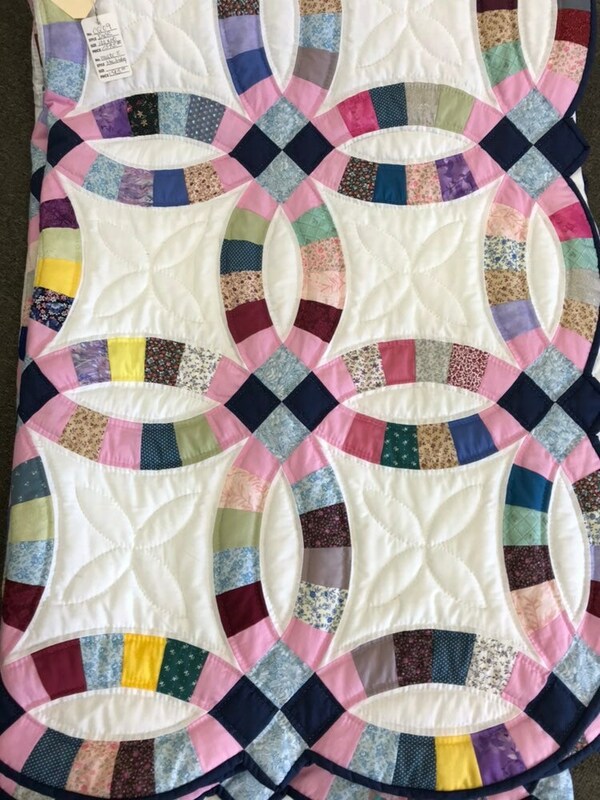 This is a great Heirloom Quilt to keep for generations or to give as a gift! 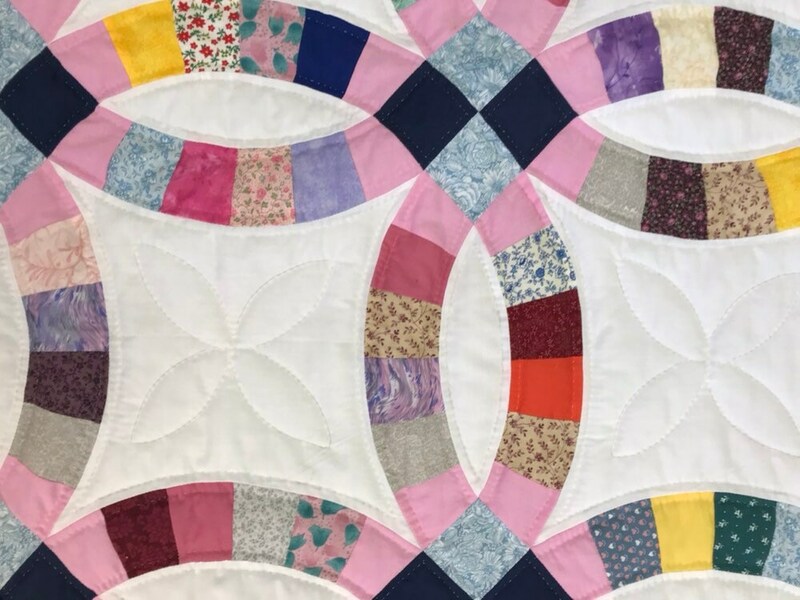 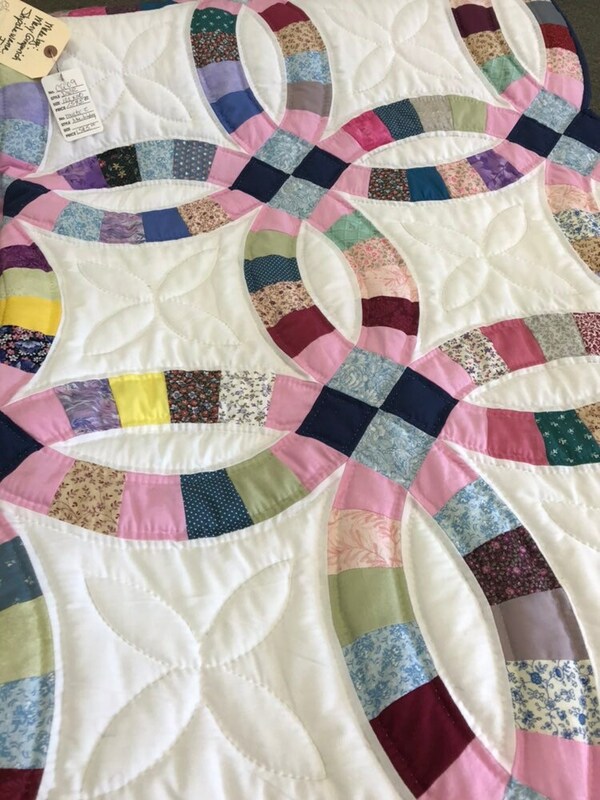 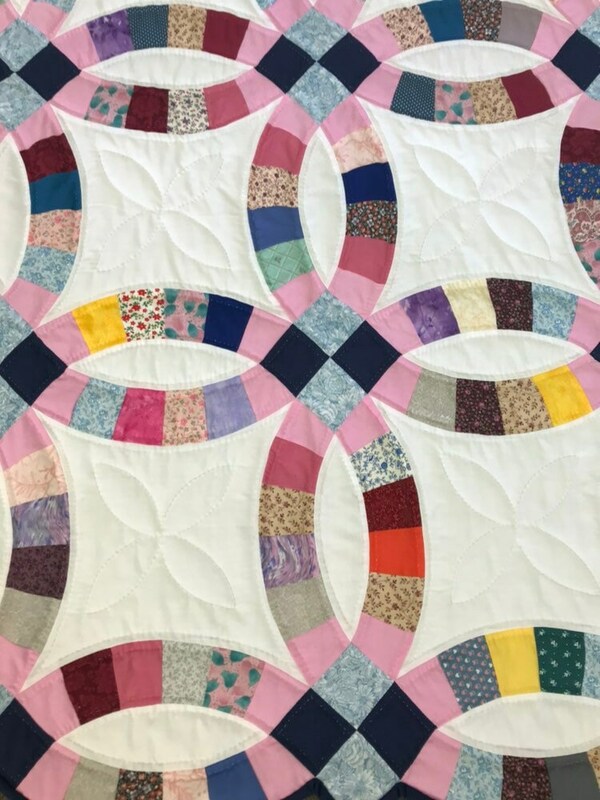 -Alma Sue’s Quilt Shop offers a full refund in the event you are not happy with your Quilt (certain restrictions apply). 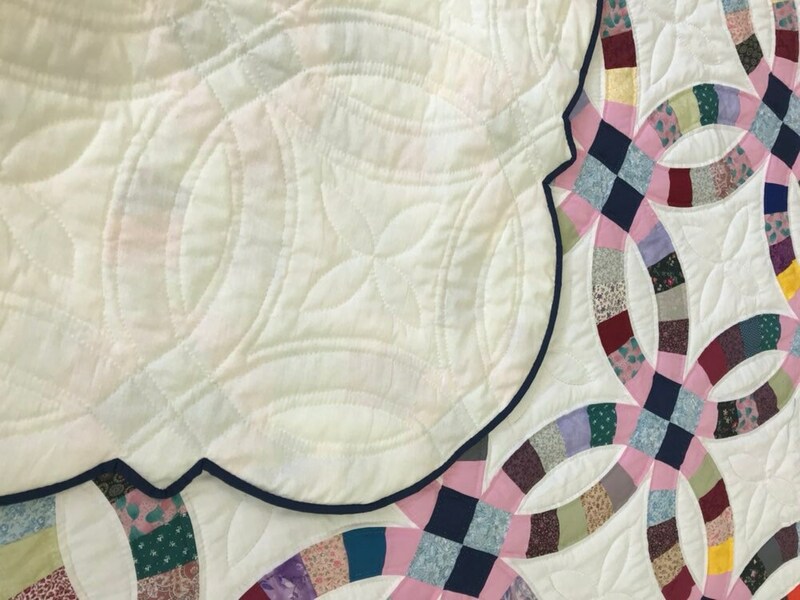 -We ship and insure via FedEx please be prepared to sign for you package.